Three whiteboards in one! 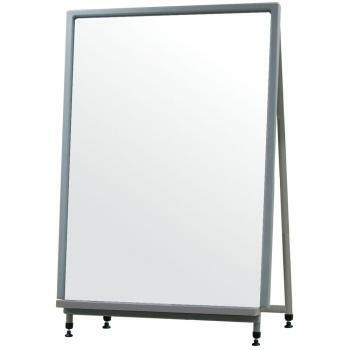 This whiteboard and stand is perfect for the teacher on the move. 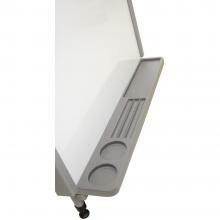 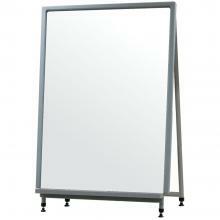 It converts from a floor whiteboard easel to a tabletop and can even be mounted on your classroom wall. 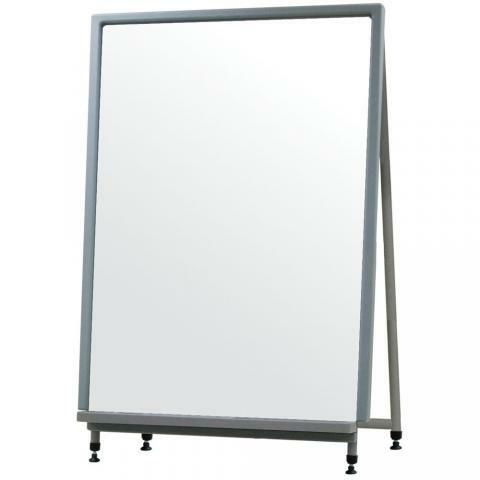 Adjust the height from 42" to 72" to your comfort level. 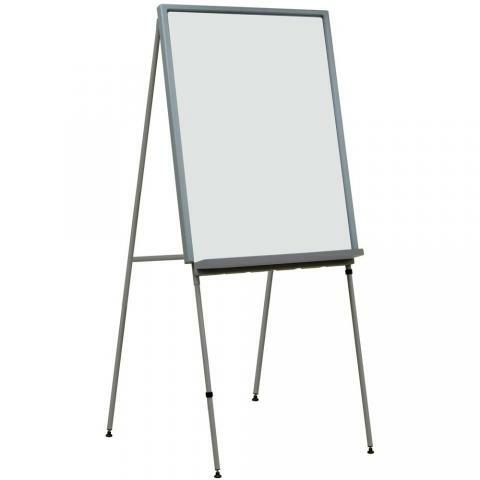 It comes with a full length whiteboard accessory tray. 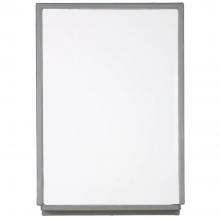 The stand is powder-coated steel and the whiteboard surface is magnetic. 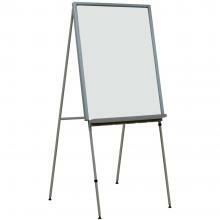 So much value and functionality in this whiteboard, at only 30lbs, so you won't mind moving it where you need it! - Writing Surface Measures 28" x 40"